Park Primary is a large, vibrant primary school in Stratford in East London. We are a two and a half form entry school, growing to a three form entry, ranging from Reception to Year 6. Our school is part of a multicultural community and we enjoy celebrating this diversity. At Park we aim to be the best that we can be. We strive to reach our potential in all areas. Academic, creative, emotional, physical and social achievements are all valued, as we develop the skills and acquire the knowledge we need as we grow. 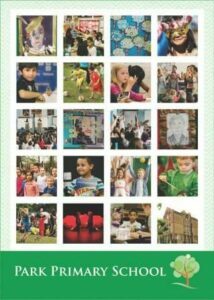 Please view our prospectus to find out more about us. If you require a paper copy of the information that is published on our website, please contact a member of our office team who will provide this for you free of charge. Welcome to our school. Here at Park we are passionate about creating a place of learning which is populated with confident, creative and caring individuals. Exemplary relationships exist throughout and, because of this, respect thrives. We believe that when children are confident they maintain a voice, they respectfully speak out; ensuring their opinions are heard and they are thereby increasingly instrumental in their own learning. We think that with creativity comes an ability to respond imaginatively and to problem solve resourcefully. Our curriculum emphasises talk (philosophy, debating and Talk for Writing), drama and art but, at Park, creativity is so much more than a focus on the creative arts. if we care about our environment (classroom, playground, school, locality, country, world) we will treat it with the respect it deserves. In addition to our core values of confidence, creativity and care we also place a high priority on British Values which we value as our own. We believe these are the ‘keys to success’ and, as such, we ensure that our curriculum provides many opportunities to hone these lifelong skills. We believe that if these skills are developed in all our learners we will be well-equipped to thrive in our ever-changing and challenging world. As a learner at Park you have the right to make progress and learn in a safe and stimulating place. We all accept that with rights come responsibilities; everybody who is part of the Park community is responsible for contributing to its continual growth and for safeguarding everyone’s wellbeing (physical and emotional). As a parent at Park you have the right to expect your child to enjoy their learning and make progress. You also have the right to expect that we will do all we can to ensure your child’s safety and wellbeing. We look forward to working together to ensure that every individual achieves their potential through high expectations for all.